A shallow underground laboratory at the DOE Pacific Northwest National Laboratory at Hanford. One of the largest challenges in designing the ILC is maintaining the ability to site the facility in different countries with candidate sites that have very different characteristics. Our approach to taking this into account for the reference design was to develop a single baseline design having site requirements that could be satisfied by most candidate sites. To accomplish this goal, we asked for detailed data on three ‘sample’ sites in Asia, Europe and the Americas. A very encouraging result was that the ILC Reference Design Report design requirements are compatible with siting the ILC in any of the three sites, and for similar costs. The Technical Design Report (TDR), now nearing completion, goes a step further by taking some site-dependent design differences into account, especially for mountainous versus deep-underground sites. The mountainous sites have fundamentally different access issues (access that is almost horizontal, as opposed to vertical shafts), and this leads to differences in the tunnels themselves, as well as for some technical elements, like high-level RF. It is worth noting that members from all three regions submitted and studied sample sites are around 100 metres deep underground. One is near CERN, one under Fermilab and one in the Japanese mountains. The conventional facilities for the ILC account for nearly half of the cost, and we have recognised that shallow sites near or at the earth’s surface could be cost-effective options. For that reason, during the RDR process, we also did a small study of a near-surface site at Fermilab; we looked at the European XFEL near-surface construction at DESY in Hamburg, Germany; and we performed a study with Russians on an interesting near-surface site in the neighbourhood of Dubna. Although we concluded that a shallow site may well be a possible option without a specific candidate site, we deferred further studies. 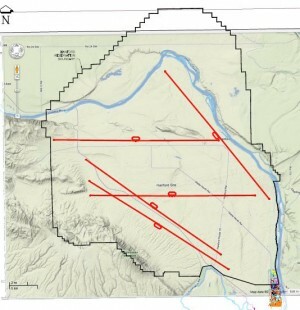 Potential sites have less than 100 metres change in elevation over 30 kilometres. 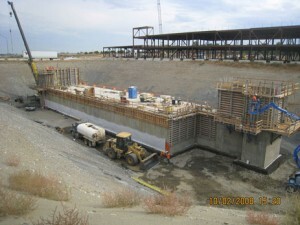 Now, a suggestion has been made by David Asner of the Pacific Northwest National Laboratory that a shallow site at the Hanford DOE Laboratory be considered for siting the ILC. Each shallow site tends to have rather different features, even regarding construction techniques. There are different methods for making the tunnel, for example ‘classic’ tunnelling or possibly a cut-and-cover construction approach, where a trench is excavated and later covered up. I personally know the Hanford site well, since it serves as the location of one of the LIGO interferometers that was constructed while I was director of the LIGO project. At a recent SiD workshop, Asner proposed that Hanford could be a very cost-effective site, thanks to lower regional construction costs, favourable geology and possible savings for cut-and-cover construction, as well as cheaper electricity and labour costs than those at other US sites. Since the discovery of a Higgs-like particle at 125 GeV was announced this summer, ideas for a staged ILC, beginning with a Higgs factory, are being discussed. This has opened the dialogue in many directions, and even though a US site is not actively being considered, the Hanford possibility is a welcome addition to the global possibilities for siting either a Higgs factory or the full ILC.